No spam! just monthly news & coupons! 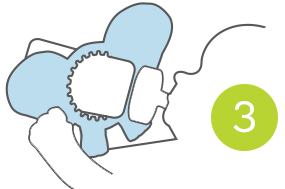 A Safe & Helpful Baby Products Brand. 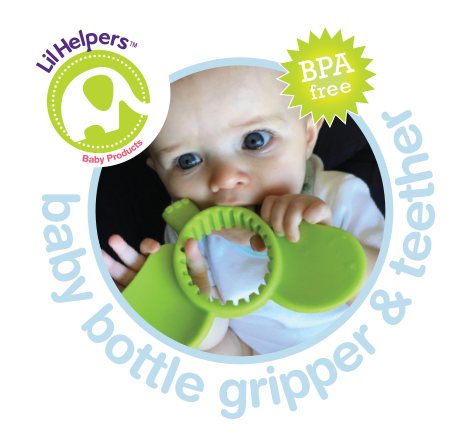 The Lil Helpers™, Lil Gripper provides an extra helping hand while feeding your child. 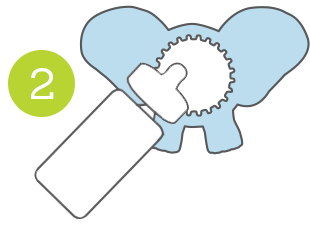 Helping your baby transition from nursing to bottle feeding, it’s ergonomic design matches baby’s natural nursing posture. Great for “on the go” or at home. 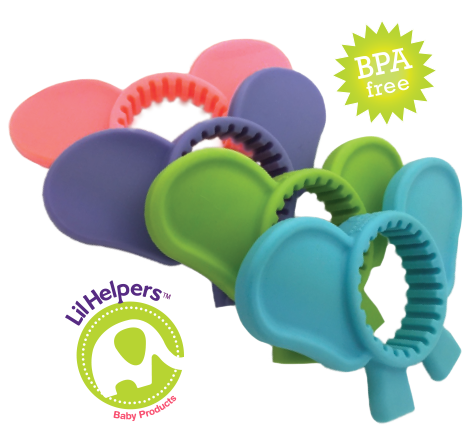 The Lil Helpers™ Lil Gripper encourages development, fits all bottle sizes & sippy cups. The Lil Gripper is also great for teething. 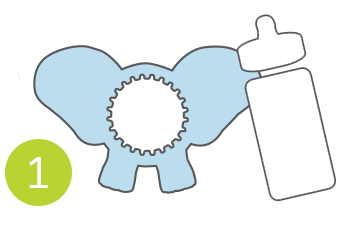 Multi-surface teething makes this teether perfect for assisting in the development of front, middle and back teeth. 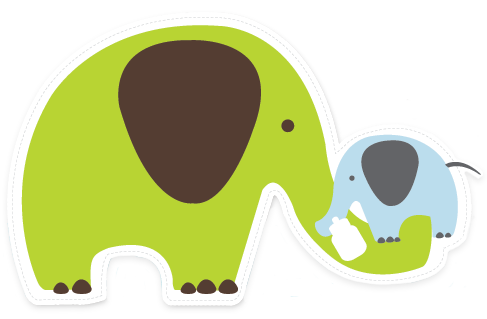 Easy grip design is ideal for little hands, helps with coordination, and exercise for young hands, gums, and teeth. A Brand For Your Growing Little People. How the Lil Helpers Lil Gripers Works! 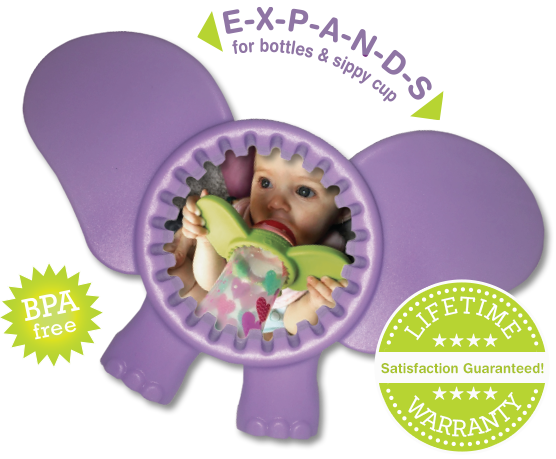 Place in baby's hand for a perfect feeding angle while supporting baby's natural grip reflex!